When you come to our RV park in Lafayette, LA, you are bound to fall in love with the great state of Louisiana. 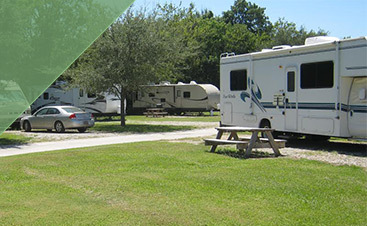 Our RV park is great because we offer WiFi and free cable, a swimming pool, private showers, and more amenities to make your stay here special. But what really makes us a wonderful place to set up camp is the fact that we are located in the Pelican State. 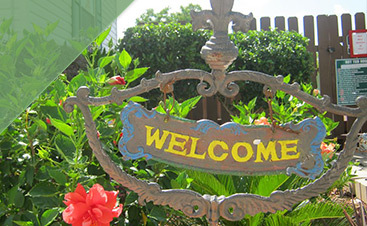 You may not know that much about Louisiana, so allow us to educate you with these fun facts! Louisiana is named after King Louis XIV of France. The state capitol building is the tallest in the U.S., standing at 450 feet and 34 floors. Louisiana is the only state that is not divided by counties; instead, it is divided by parishes. Louisiana has the largest population of Cajuns in the United States. The longest bridge over water in the world is located in Metairie, the Lake Pontchartrain causeway. It runs 24 miles long! The oldest street railway line in existence is the New Orleans & Carrollton Line, which first came into existence in 1835. Louisiana is home to the “Crawfish Capital of the World,” Breaux Bridge. If you bite someone with your teeth in Louisiana, it is simple assault. If you bite someone with false teeth, it is considered aggravated assault. The United States purchased the Louisiana Territory from France for $15 million in 1803. This enormous piece of land was broken into thirteen states and almost doubled the size of the U.S. The Pelican State is thus called because the first governor, William Claiborne, was very fond of the pelicans native to the Gulf Coast. He admired them so much, he used them as a symbol on government documents. Jean Lafitte, LA was once a city where pirates could hide. Winnsboro, LA is famous for being among the most patriotic places in the U.S. On national highways, you can expect to see more than 350 American flags waving along Highway 15. Louisiana is home to the Frog Capital of the World, Rayne. We love this fact at Frog City RV Park! Covington, LA is known for having exceptionally clean water and air, as it falls into what is known as the Ozone Belt. “The Duck Capital of America,” Gueydan, is located in Louisiana, due to its high concentration of waterfowl. The Old Town Hall Museum, located in Pineville, LA, is the only museum in the state that is dedicated to teaching about municipal government. “The Cajun Music Capital of the World” is Mamou in Southwest Louisiana. Musicians who play in Mamou have expanded the scope of Cajun music, introducing it to the world outside of the state. Louisiana is also home to the “Buggy Capital of the World,” Church Points, where a festival to celebrate buggies occurs every year of the first weekend of June. Clearly, Louisiana is a fascinating place rich with history. 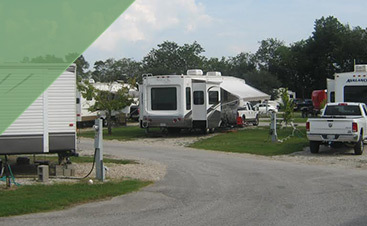 When you are ready to come visit the Pelican State, consider stopping at our RV park in Lafayette! With so many different attractions to offer, you can’t skip Louisiana on your road trip. Book a space today!